At PDQ we care about what we do. For more than 33 years we’ve made it our mission to attend to every detail of every job in the way only a family-owned business can! It’s a personal commitment. You can see it in how we treat our employees and how we feel about our customers. Because with PDQ, making the highest quality commercial grade lock and door closures isn’t just a business. It’s a matter of family pride. PDQ, located in Pennsylvania’s beautiful Lancaster County heartland, employs dedicated machinists, assemblers and instrumentation technicians who manufacture a growing portfolio of high quality USA-made products. 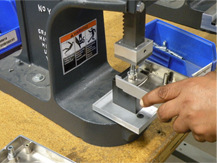 Our in-house engineering staff and extensive production capabilities give us the flexibility to custom fabricate hardware to exacting specifications. At PDQ we manufacture commercial grade mortise locks, cylindrical locks, door closers, exit devices, flat goods, stand-alone electronic locks and electronic access control devices. All designed to provide the exceptional visual appeal and long service life. 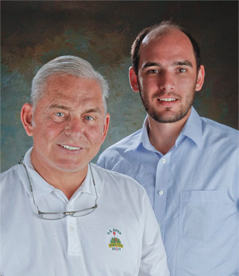 Unlike other multi-national foreign-owned competitors, founder Bill Tell and his son Logan are dedicated to personally supervising and supporting the day-to-day operations of the company and the company’s senior level staff to ensure the highest quality products are manufactured to meet our customers’ expectations, uniformly and flawlessly. Because PDQ is an independent, American-owned manufacturer we are able to provide a higher standard of quality, service and value. All PDQ products are assembled in the U.S. With distribution centers in Kansas City, MO, Auburn, WA, and Salt Lake City, UT we also offer incredibly fast delivery – typically 1-3 days. Providing discerning distributors, contractors, architects, and facility owners with the right product, right on time. That’s how we work at PDQ. A letter from the Founder, President, & CEO.